It is one of the most beloved novels in the English language, and its protagonists among the best friends a reader can have. 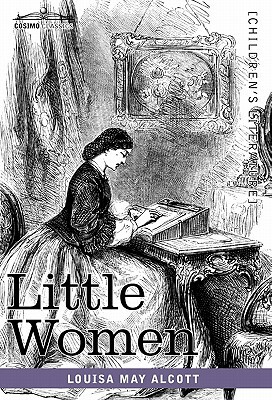 Louisa May Alcott's Little Women-inspired by her own childhood with three sisters in Concord, Massachusetts-is the simple, elegant tale of tomboy Jo March, who strains against the limitations of women of her time, and dependable Meg, compassionate Beth, and spoiled Amy. Their childhood adventures and squabbles as well as their adult romances and travels continue to enthrall and delight readers a century and a half after the novel was first published, and have inspired stage plays, comic books, and countless film adaptations. Timelessly classic, this is an essential work for any library of 19th-century literature. LOUISA MAY ALCOTT (1832-1888), one of the most well-known American novelists of the 19th century, was born on November 29, 1832 to transcendentalist educator Amos Bronson Alcott and his wife, Abigail May Alcott. She was the second of four sisters (like Jo, her literary corollary), and grew up in a family that encouraged and sympathized with her abolitionist and feminist leanings. As a child she received instruction from noted literary figures such as Henry David Thoreau, Ralph Waldo Emerson, Margaret Fuller, and Nathaniel Hawthorne, all family friends. In addition to the Little Women series, which included four novels, she wrote 28 other works, three under the pen name A.M Barnard. Though Alcott had chronic health problems in her later years, most likely attributed to an autoimmune disease, she continued to write until her death at 55 in 1888.